Summer is the perfect time to explore all of the awesome attractions Dallas has to offer. Check out our list of must-see attractions. The Dallas Zoo just got bigger! Now through September, come see “Giants of the Jurassic” – their newest exhibit of epic proportions that is included with zoo admission! 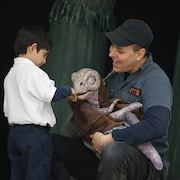 Meet more than 25 roaring, animatronic dinosaurs, plus the world-renowned, interactive theater experience of Erth’s Dinosaur Zoo Live. 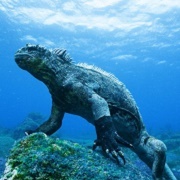 Highlights include their brand new wildlife show, “DinoSOAR,” two “dig boxes” where youngsters can uncover fossils and a small robotic dinosaur, and their train, the “T-Rex Express.” They also have stationary squirt guns, shaped like dinos, where kids can squirt each other with water to mimic the large dinosaurs that spit water. Since 1886, the State Fair of Texas has celebrated all things Texan by promoting agriculture, education, and community involvement through quality entertainment in a family-friendly environment. The Fair serves as an advocate for the community through its commitment to preserving Fair Park and continuing to build upon its legacy as a National Historic Landmark. 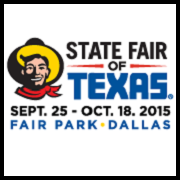 The State Fair of Texas is the longest-running fair in the nation, as well as one of the largest. It serves not only as an annual celebration, but as a unique destination that brings people together. Six Flags Over Texas features more than 100 thrilling rides, shows and attractions including adrenaline-filled roller coasters like Titan, and the New Texas Giant. Six Flags is also home to a variety of family-friendly shows. 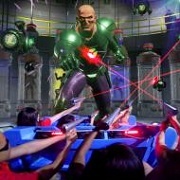 This Summer, Six Flags Over Texas will debut an all-new 4D interactive dark ride attraction, JUSTICE LEAGUE: BATTLE FOR METROPOLIS. Guests will become members of the JUSTICE LEAGUE Reserve Team and engage in a full-sensory journey as they battle alongside their favorite superheroes against the bad guys! The Perot Museum of Nature and Science is now located in Victory Park, near Downtown Dallas. The museum's roots date back to 1936, with the opening of the Dallas Museum of Natural History in Fair Park, which would later merge with the Science Place and the Dallas Children’s Museum to create the Museum of Nature & Science, which is sill part of the new Perot Museum. 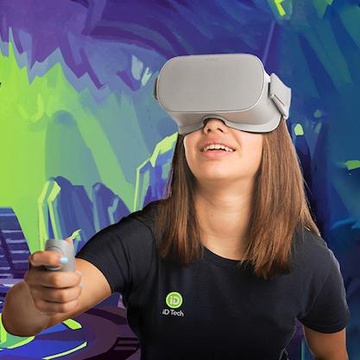 The museum passes the test of school children, inspiring curiosity in visitors of all ages as it is virtually a living science lesson--get ready to amaze your brain through hands-on learning experiences! The Dallas Arboretum and Botanical Garden provides rotating displays four times a year, delivering a new experience for viewers year-round. The 66-acre urban oasis attracts over 978,000 visitors annually, and features 19 finely manicured gardens, seasonal festivals, and several adult and youth education programs. 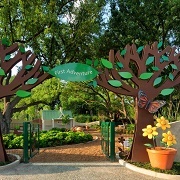 Of particular interest for families is the new 8-acre Rory Meyers Children’s Adventure Garden. 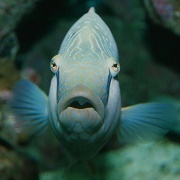 The adventure at the Dallas World Aquarium includes many exhibits replicating habitats such as the Orinoco, South Africa, Mundo Maya, Borneo as well as the aquarium itself. 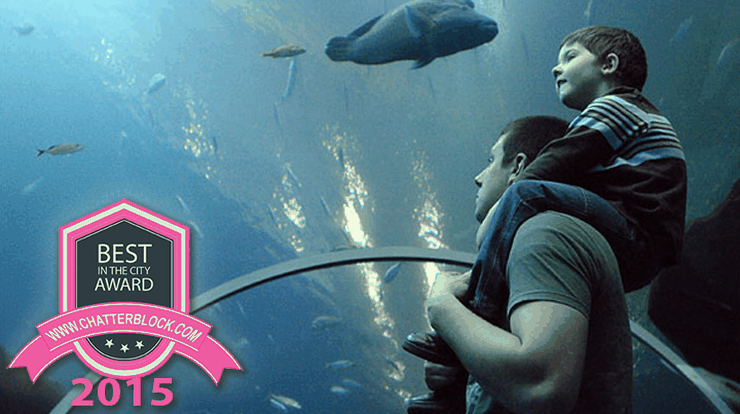 Enjoy daily talks and view feedings to get right up close to the animals. Where else can you see sloths, toucans, Antillean manatees, sharks, and penguins in the same vicinity? The Sixth Floor Museum is located on the 6th and 7th floors of the former Texas School Book Depository. 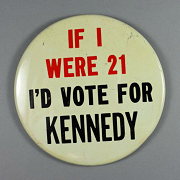 The sixth floor permanent exhibit features films, photographs and artifacts that chronicle President Kennedy's life, death and legacy, while temporary exhibits can be seen on the seventh floor. The Museum offers monthly programs, special events and educational resources. Audio guides are included with museum admission. Zero Gravity is a unique theme park that was founded in 1992 with a single goal: to be the most extreme amusement park in the world--and they succeeded. 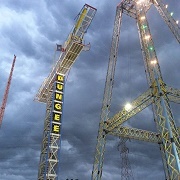 Zero Gravity boasts five high-intensity thrill attractions, including such rarities as the Nothin’ but Net free-fall attraction, and they are proud to boast a perfect safety record. 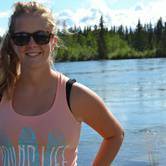 A great adventure, but guests under 16 must have a verified signature of a parent or guardian. 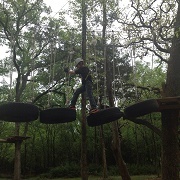 The Trinity Forest Aerial Adventure Park is a combination of a Canopy Tour, Challenge Course and Zip Line Adventure. Reconnect with nature with now deadlines, no phones, and and above all, no internet. Bring the whole family to come play at the Trinity Forest Adventure Park! Open on Weekends and Holidays. 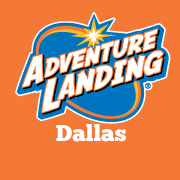 Part of the Adventure Landing franchise, the Adventure Landing Dallas location features Adventure Speedway Go-Karts, three 18-hole miniature golf courses, laser tag in a themed arena, bumper boats, and a comprehensive monster video and redemption game arcade. Adventure Landing is open 7 days a week for your fun and convenience. 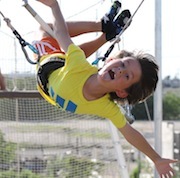 Skyline Trapeze, North Texas’ first Flying Trapeze School is now in its third season. Anyone can come out and “Unleash Your Inner Circus”.  Recommended for ages 8 and up classes are held in Addison, Tuesday-Sunday. During your first two hour class you can expect to try a knee hang position, back flip dismount and a catch with one of the instructors. Students are in safety lines from when they begin to climb the ladder until safely back on the ground. This is an experience you will never forget come on out and take a swing!